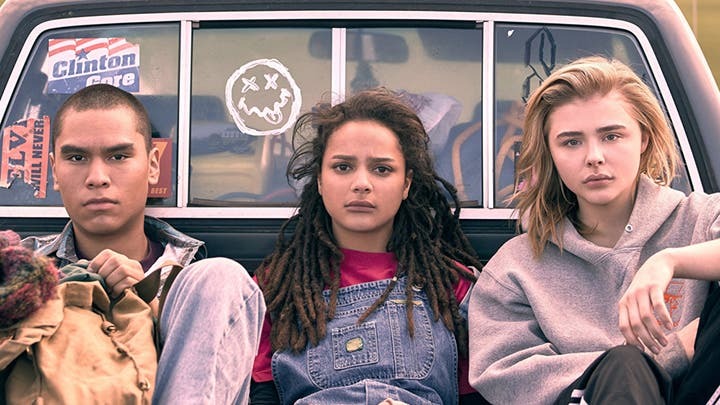 There’s a new Chloe Grace Moretz film coming up and it looks interesting: it’s called The Miseducation of Cameron Post, based on the novel of the same name by Emily M. Danforth, and it’s about gay conversion therapy in the ’90s. Moretz stars as Cameron Post, a teenage lesbian struggling to accept herself as she’s moved into a camp focused on gay conversion therapy, run by Dr. Marsh and her brother Reverend Rick. Moretz co-stars with Sasha Lane, Jennifer Ehle, Forrest Goodluck, Quinn Shephard, and John Gallagher Jr. The film was already screened at the Sundance Film Festival and was reviewed well on Rotten Tomatoes with an 83% rating. The Miseducation of Cameron Post is directed by Desiree Akhavan and will screen on August 3, 2018.